Nearly 400 employees have been moved from the downtown Gatineau, Que., complex since late December, with 400 more to be moved by the summer. Hundreds of federal employees are being relocated from the Terrasses de la Chaudière complex in downtown Gatineau, Que., due to long-standing air quality concerns. Since late December, nearly 400 employees have moved. 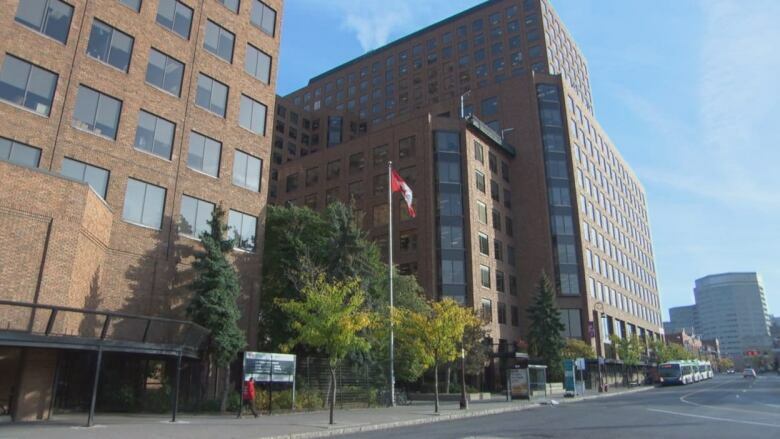 Public Service and Procurement Canada (PSPC) said 300 more will move to a downtown Ottawa office by March 23 and about 100 will follow by the summer. It said this week, as it and deputy ministers have said in the past, that the building is safe according to air quality tests — but it's listening to employee concerns. The Union of National Employees (UNE) said the issues stem from overcrowding as the government tries to create collaborative workplaces. That has led to renovations that have affected the air, according to UNE. Moving the employees between floors and buildings is not the solution, according to its national president. "We're just moving one problem into a different building," Kevin King said. "The immediate concern is whether or not the building is safe. The second thing is, with respect to the resources they have … are they going to be supporting going into another building? Not just in health and safety, but operationally from an employer's perspective." King said the government has about 30,000 square metres of "swing space" and the movement of employees from other buildings such as the fire-damaged St. Laurent building, Portage III and the Asticou Centre is reducing the amount of give in the system. "There are people being moved to other government locations in these 'swing spaces' examples that are also coming into contact with lesser than ideal expectations of air quality than are found in regulated government situations under, for example, the Canada Labour Code." King said renovations to the Terrasses complex to create "collaborative" spaces led to a reduction in air quality that had been flagged as early as 2013. Along with Indigenous Services, the complex in downtown Gatineau houses Crown-Indigenous Relations and Northern Affairs, Status of Women, Canadian Heritage and the Canadian Radio-television and Telecommunications Commission staff. 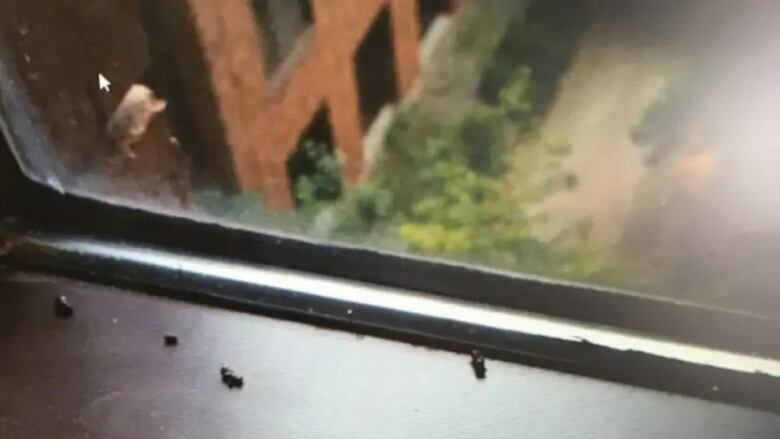 Two floors at Terrasses de la Chaudière have had particularly severe problems: the sixth floor of the towers at 15-25 rue Eddy and the 19th floor of 10 rue Wellington. Employees on that rue Eddy floor had to deal with leaking water as well as reports of bat droppings. Major reconstruction is planned for that floor within 18 months, said PSPC in a statement, adding they expect to award a contract by the end of spring. That department has seen 244 employees moved from that area — 100 of them to 234 Laurier Avenue W. in Ottawa and 150 to the upper floors of 10 rue Wellington, the highest tower in the Terrasses complex. To accommodate displaced employees, 148 federal workers from the 22nd, 23rd and 24th floors of the Wellington tower were moved to the seventh floor and others to a building on Laurier Avenue in Ottawa. The air circulation system on that other floor was built to accommodate 105 people, but the office was redesigned for 170 people to work there. In a statement, PSPC said it is working with all of the departments that occupy the building to study air quality concerns and address workplace conditions. It said the air is safe and air quality tests conducted by the department and two outside contractors in the last year back up the claim. PSPC said it continues to work to improve conditions, including replacing carpeting last summer. The department said space for 300 workers will be freed up once the Canadian Transportation Agency leaves its space in March 2021. Throughout all the movement, PSPC said it will stick to its ratio of having 75 per cent of Ottawa-Gatineau public servants in Ottawa and 25 per cent in Gatineau. There is also a wider $175 million renovation project underway in partnership with the National Capital Commission, with work expected to start this spring.